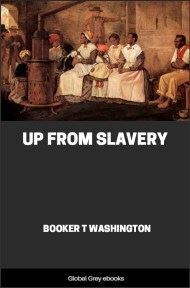 Comprised of Walker's Appeal, (the purpose of which was to encourage readers to take an active role in fighting their oppression, regardless of the risk, and to press white Americans to realize the moral and religious failure of slavery), a brief sketch of the life of David Walker, and Garnet's Address to the slaves of the United States of America. It is generally the desire of the reader of any intellectual production, to know something of the character and the life of the author. The character of David Walker is indicated in his writings. In regard to his life, but a few materials can be gathered; but what is known of him, furnishes proof to the opinion which the friends of man have formed of him--that he possessed a noble and a courageous spirit, and that he was ardently attached to the cause of liberty. Mr. Walker was born in Wilmington, North Carolina, Sept. 28, 1785. His mother was a free woman, and his father was a slave. His innate hatred to slavery was very early developed. 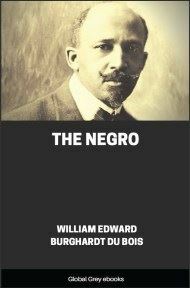 When yet a boy, he declared that the slaveholding South was not the place for him. His soul became so indignant at the wrongs which his father and his kindred bore, that he determined to find some portion of his country where he would see less to harrow up his soul. Said he, "If I remain in this bloody land, I will not live long. As true as God reigns, I will be avenged for the sorrow which my people have suffered. This is not the place for me--no, no. I must leave this part of the country. 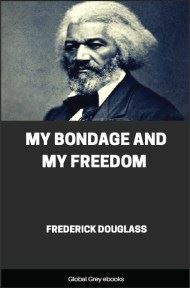 It will be a great trial for me to live on the same soil where so many men are in slavery; certainly I cannot remain where I must hear their chains continually, and where I must encounter the insults of their hypocritical enslaver. Go, I must." After leaving home, David Walker travelled rapidly towards the North, shaking off the dust of his feet, and breathing curses upon the system of human slavery, America's darling institution. As might be expected, he met with trials during his journey; and at last he reached Boston, Mass., where he took up his permanent residence. There he applied himself to study, and soon learned to read and write, in order that he might contribute something to the cause of humanity. Mr. Walker, like most of reformers, was a poor man--he lived poor, and died poor. In 1827 be entered into the clothing business in Brattle street, in which he prospered; and had it not been for his great liberality and hospitality, he would have become wealthy. In 1828, he married Miss Eliza —. He was emphatically a self-made man, and he spent all his leisure moments in the cultivation of his mind. Before the Anti-Slavery Reformation had assumed a form, he was ardently engaged in the work. His hands were always open to contribute to the wants of the fugitive. His house was the shelter and the home of the poor and needy. Mr. Walker is known principally by his "APPEAL," but it was in his private walks, and by his unceasing labors in the cause of freedom, that he has made his memory sacred. With an overflowing heart, he published his "Appeal" in 1829. This little book produced more commotion among slaveholders than any volume of its size that was ever issued from an American press. They saw that it was a bold attack upon their idolatry, and that too by a black man who once lived among them. It was merely a smooth stone which this David took up, yet it terrified a host of Goliaths. When the fame of this book reached the South, the poor, cowardly, pusillanimous tyrants, grew pale behind their cotton bags, and armed themselves to the teeth. They set watches to look after their happy and contented slaves. The Governor of GEORGIA wrote to the Hon. Harrison Grey Otis, the Mayor of Boston, requesting him to suppress the Appeal. His Honor replied to the Southern Censor, that he had no power nor disposition to hinder Mr. Walker from pursuing a lawful course in the utterance of his thoughts. A company of Georgia men then bound themselves by an oath, that they would eat as little as possible until they had killed the youthful author. They also offered a reward of a thousand dollars for his head, and ten times as much for the live Walker. His consort, with the solicitude of an affectionate wife, together with some friends, advised him to go to Canada, lest he should be abducted. Walker said that he had nothing to fear from such a pack of coward blood-hounds; but if he did go, he would hurl back such thunder across the great lakes, that would cause them to tremble in their strong holds. Said he, "I will stand my ground. _Somebody must die in this cause._ I may be doomed to the stake and the fire, or to the scaffold tree, but it is not in me to falter if I can promote the work of emancipation." He did not leave the country, but was soon laid in the grave. It was the opinion of many that he was hurried out of life by the means of poison, but whether this was the case or not, the writer is not prepared to affirm. He had many enemies, and not a few were his brethren whose cause he espoused. They said that he went too far, and was making trouble. So the Jews spoke of Moses. They valued the flesh-pots of Egypt more than the milk and honey of Canaan. He died 1830 in Bridge street, at the hopeful and enthusiastic age of 34 years. His ruling passion blazed up in the hour of death, and threw an indescribable grandeur over the last dark scene. The heroic young man passed away without a struggle, and a few weeping friends.